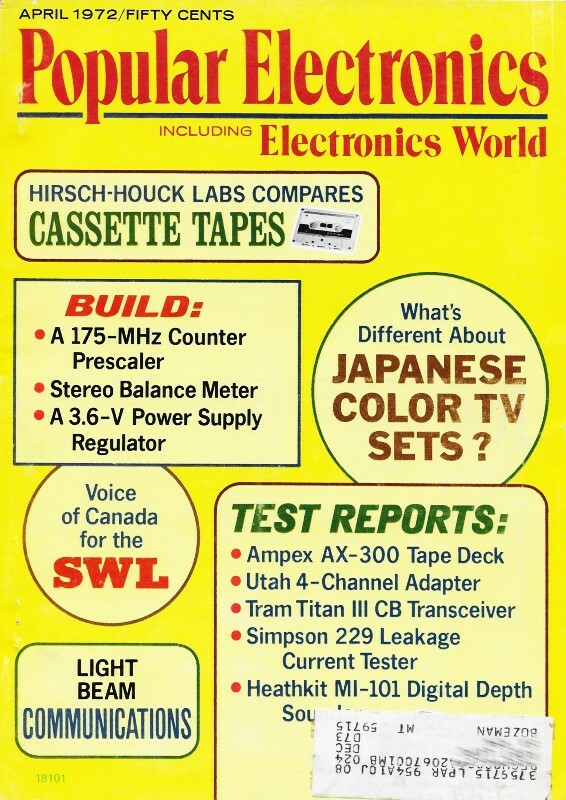 Robert Balin created many quizzes for Popular Electronics over his years with the magazine. This one challenges your ability to trace out connections without getting confused by crossovers - which is easy to do. Each of the six-position switches illuminate a different combination of lamps. Your job, if you accept it, is to figure out which lamps light for positions 1 through 6. A big list of electronics quizzes is posted near the bottom. 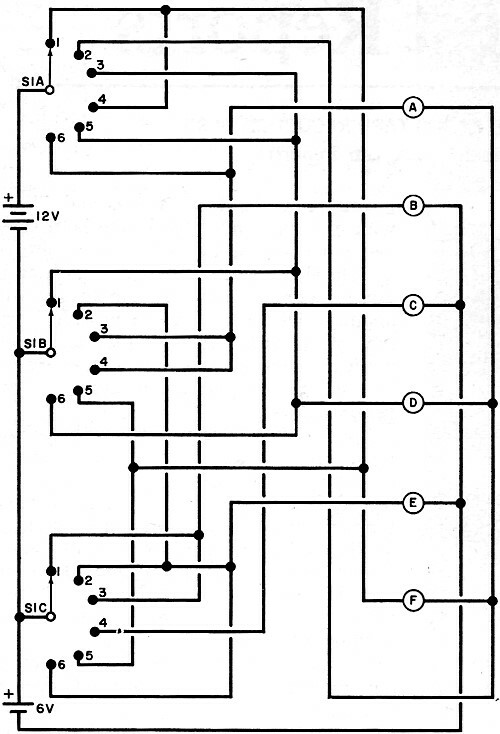 Electronics hobbyists, especially troubleshooters, can always use some practice in tracing out circuits that include ganged switches. Unless you are careful and systematic, it is easy to get confused, lose your way or overlook a component. Here's a chance to practice this important skill. The schematic at left contains a 6-position, 3-pole switch, six 6-volt lamps and 6- and 12-volt batteries. As the switch is rotated, determine what combinations of lamps will light - each to full brightness. 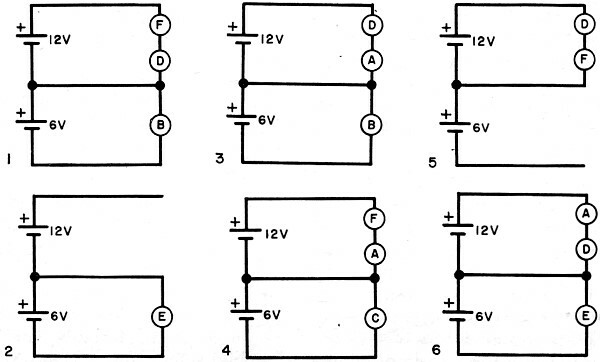 The answers are below so cover them up while you work out the circuit. 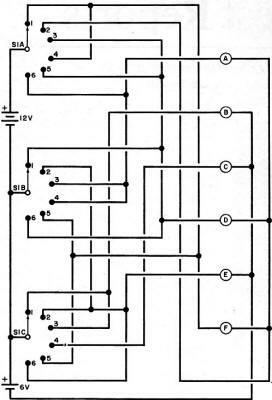 Note that although the switching function which this circuit performs can be done by a much simpler circuit (a single 6-volt battery can do the job) such a circuit would be too simple to be challenging and only unnecessary schematic zig-zagging could make it look more complicated. Since this quiz is intended to be a training problem, practical considerations have been ignored.